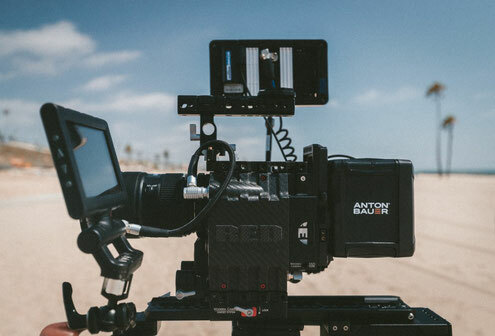 How to become a filmmaker - antoniocudemos Webseite! You can of course become an employee Filmmaker and working in a production company. Depending what kind of position you would want to end up working as, you need to spend years on other people’s projects, and then work your way up. What most people I know do, is to work as a freelance filmmaker. It’s what I’ve been doing. As a freelancer, you get hired on a project to project basis. You also need so see new projects and you never know when that will be. It can be pretty nerve wracking. But you could get your big shot. While you work as a freelancer, you can try to let your own projects going. You so you know. Facing rejection every day, is the norm in this industry. But I would rather do this, than have a 9 to 5 job, and everday would feel the same. You need to be in for the long run. As I always say. Now grab a camera and film something. Now! Cause, you never know, who will end up seeing it. Maybe your next money giver.